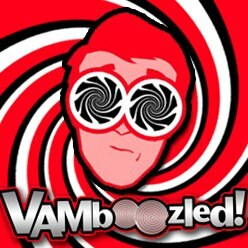 April | 2015 | VAMboozled! An article was just published in the esteemed, peer-reviewed journal Teachers College Record titled, “The Will to Quantify: The “Bottom Line” in the Market Model of Education Reform” and authored by Leo Casey – Executive Director of the Albert Shanker Institute. I will summarize its key points here (1) for those of you without the time to read the whole article (albeit worth reading) and (2) just in case the link above does not work for those of you out there without subscriptions to Teachers College Record. In this article, Casey reviews the case of New York and the state department of education’s policy attempts to use New York teachers’ value-added data to reform the state’s public schools, “in the image and likeness of competitive businesses.” Casey interrogates this state’s history given the current, market-based, corporate reform environment surrounding (and swallowing) America’s public schools within New York, but also beyond. In New York, using the state’s large-scale standardized tests in English/language arts and mathematics, grades 3 through 8, teachers’ value-added data reports were first developed for approximately 18,000 teachers throughout the state for three school years: 2007-2010. The scores were constructed with all assurances that these scores “would not be used for [teacher] evaluation purposes,” while the state department specifically identified tenure decisions and annual rating processes as two areas where teachers’ value-added scores “would play no role.” At that time the department of education also took a “firm position” that that these reports would not be disclosed or shared outside of the school community (i.e., with the public). Soon, thereafter, however the department of education, “acting unilaterally,” began to use the scores in tenure decisions and began to, after a series of Freedom of Information requests, release the scores to the media, who in turn released the scores to the public at large. By February of 2012, teachers’ value-added scores were published by all major New York media. These scores had, and often continue to have (also across states), “average confidence intervals of 60 to 70 percentiles for a single-year estimate. On a distribution that went from 0 to 99, the average margins of error in the [New York scores] were, by the [state department of education’s] own calculations, 35 percentiles for Math and 53 percentiles for English Language Arts. One-third of all [scores], the [department] conceded, were completely unreliable—that is, so imprecise as to not warrant any confidence in them. The sheer magnitude of these numbers takes us into the realm of the statistically surreal.” Yet the state continues to this day in its efforts to use these data despite the gross statistical and consequential human errors present. “A 2010 U.S. Department of Education study found that value-added measures in general have disturbingly high rates of error, with the use of three years of test data producing a 25% error rate in classifying teachers as above average, average, and below average and one year of test data yielding a 35% error rate.” Nothing much has changed in terms of error rates here, so this study stills stands as one of the capstone pieces on this topic. Also recall that “the tests in question [are/were] designed for another purpose: the measure of student performance, not teacher or school performance.” That is, these tests were designed and validated to measure student achievement, BUT they were never designed or validated for their current purposes/uses: to measure teacher effects on student achievement. One of the most powerful benefits of blogging, in my opinion, is that I am able to connect with people from all over the country, who may have different backgrounds, but who share in the common mission to improve the field of education. I am honored to join a growing community of concerned citizens, parents, teachers, principals, scholars, and the like, in advocating for better education for all. That being said, there are two grassroots organizations, in particular, that deserve recognition for their efforts in this area. They have also compelled me to fully endorse their movements—the Badass Teachers Association (BATs) and the TNT: Teaching Not Testing—A New Narrative for Education (Las Cruces, as based on my recent visit – see prior posts here and here). The BATs, founded by Fordham Professor, Mark Naison, and long-time educator and activist, Priscilla Sanstead, is a grassroots organization made up of more than 50,000 educators, parents, and concerned citizens. Dr. Naison first described the group as a group “…for every teacher who refuses to be blamed for the failure of our society to erase poverty and inequality, and refuses to accept assessments, tests and evaluations imposed by those who have contempt for real teaching and learning.” The group has held strong to that original mission has since grown into a force with which to be reckoned. They organize and support various education rallies, meet with public officials and policymakers, and fight to have their voices heard. If you haven’t already, I encourage you to check out the BATs and get involved. Here are some helpful links: here is the BAT Website, here is the BAT Facebook Group, and here are the BATs on Twitter: @BadassTeachersA. Otherwise, she described the group as: “…a group of concerned parents, students, teachers, and administrators who seek to offer a new narrative for education. We want to have a voice in bringing the high-stakes testing movement to an end. Teachers and students are the ones who suffer the most. We will have testimonial videos in the near future from students and retired teachers sharing their personal experiences about high-stakes testing. Current teachers and administrators live in fear of reprisal since approximately 50% of their evaluations are dependent on test scores. In addition, teachers have to sign a statement [in New Mexico] whereby they “will not disparage” the test. This group is committed to giving teachers a voice again and hopefully help to restore their dignity and respect as professionals. Thank you to those who continue to fight the good fight. Our students and teachers deserve our support, and together, we may actually be able to create the change our educational system so desperately needs. As you all know, value-added models (VAMs) are intended to measure a teacher’s effectiveness. By comparing students’ learning and the value that educators add, VAMs attempt to isolate the teacher’s impact on student achievement. VAMs focus on individual student progress from one testing period to the next, sometimes without considering past learning, peer influence, family environment or individual ability, depending on the model. Teachers, administrators and experts have debated VAM reliability and validity, but not often mentioned is the controversy regarding the use of VAMs for teachers of special education students. Why is this so controversial? Because students with disabilities are often educated in general education classrooms, but generally score lower on standardized tests – tests that they often should not be taking in the first place. Accordingly, holding teachers of special education students accountable for their performance is uniquely problematic. For example, many special education students are in mainstream classrooms, with co-teaching provided by both special and general education teachers; hence, special education programs can present challenges to VAMs that are meant to measure straightforward progress. Research like “Co-Teaching: An Illustration of the Complexity of Collaboration in Special Education” outlines some of the specific challenges that teachers of special education can face when co-teaching is involved. But essentially, co-teaching is a partnership between a general and a special education teacher, who jointly instruct a group of students, including those with special needs and disabilities. The intent is to provide special education students with access to the general curriculum while receiving more specialized instruction to support their learning. Accordingly, collaboration is key to successful co-teaching. Teams that demonstrate lower levels of collaboration tend to struggle more, while successful co-teaching teams share their expertise to motivate students. However, special education teachers often report differences in teaching styles that lead to conflict; they often feel regulated to the role of classroom assistant, rather than full teaching partner. This also has implications for VAMs. For example, student outcomes from co-teaching vary. A 2002 study by Rea, McLaughlin and Walther-Thomas found that students with learning disabilities in co-taught classes had better attendance and report card grades, but no better performance on standardized tests. Another report showed that test scores for students with and without disabilities were not affected by co-teaching (Idol, 2006). A 2014 study by the Carnegie Foundation for the Advancement of Teaching points out another issue that can make co-teaching more difficult in a special education settings; it can be difficult to determine value-added because it can be hard to separate such teachers’ contributions. Authors also assert that calculating value-added would be more accurate if the models used more detailed data about disability status, services rendered, and past and present accommodations made, but many states do not collect these data (Buzick, 2014), and even if they did there is no real level of certainty that this would work. Likewise, inclusion brings special education students into the general classroom, eliminating boundaries between special education students and general education peers. However, special education teachers often voice opposition to general education inclusion as it relates to VAMs. When students with disabilities spend the majority of their day in general education classrooms, special education teacher effectiveness is distorted. Quality special education instruction can be hindered by poor general education instruction. Students may be pulled out of class for additional services, which makes it difficult to maintain progress and pace. Multiple teachers often provide instruction to special education students, so each teacher’s impact is difficult to assess. When special education teachers assist general education classrooms, their impact is not measured by VAMs. And along with the complexities involved with teaching students with disabilities, special education teachers also deal with a number of constraints that impact instructional time and affect VAMs. Special education teachers also deal with more paperwork, including Individualized Education Plans (IEPs) that take time to write and review. In addition, they must handle extensive curriculum and lesson planning, manage parent communication, keep up with special education laws and coordinate with general education teachers. While their priority may be to fully support each student’s learning and achievement, it’s not always possible. In addition, not everything special education teachers do can be appropriately captured using tests. These are but a few reasons that special education teachers should question the fairness of VAMs. This is a guest post from Umari Osgood who works at Bisk Education and writes on behalf of University of St. Thomas online programs. Merryl claims that the tests are diagnostic tools that are used to inform instruction and curriculum development, to which Diane responds about the inordinate numbers of hours students spend testing and how whatever formative value might come from such tests is grossly delayed whereas teachers do not receive results until well after their students have left their classrooms, which greatly limits formative potential. Merryl has no response to that, that Chris aptly points out, but she defers rather to a peripheral argument that the public who spends $54 billion on education throughout the state has a right to what she did not term tests’ summative (i.e., opposite of formative) functionality. Diane responds after a bit of redirection and explains how we test more than any other industrialized nation in the world, including the top 10 performing nations as per international exams. Interesting here, albeit not stated explicitly, is that we have been testing in this manner for over 30 years yet we still cannot break the top 10. Isn’t that an indicator in an of itself as our number one educational reform model — increasing standards and attaching new and improved tests to measure and hold teachers and students to meeting those standards, over and over and over again — isn’t working? Merryl ends by (falsely) explaining to parents they are inappropriately opting out because they have been trapped in a dispute caused by Governor Cuomo linking tests to teacher evaluation to which teachers unions are opposed. Diane was not given a chance to respond. Embracing a fabled metaphor, while not to position teachers as the wicked queens or to position Kane as Snow White, let us ask ourselves the classic question:”Who is the fairest one of all?” as we critically review yet another fairytale authored by Harvard’s Kane. He has, after all, “carefully studied the best systems for rating teachers” (see other prior posts about Kane’s public perspectives on VAMs here and here). In this piece, Kane continues to advance a series of phantasmal claims about the potentials of VAMs, this time in the state of New York where Governor Andrew Cuomo intends to take the state’s teacher evaluation system up to a system based 50% on teachers’ value-added, or 100% on value-added in cases where a teacher rated as “ineffective” in his/her value-added score can be rated as “ineffective” overall. Here, value-added could be used to trump all else (see prior posts about this here and here). According to Kane, Governor Cuomo “picked the right fight.” The state’s new system “will finally give schools the tools they need to manage and improve teaching.” Perhaps the magic mirror would agree with such a statement, but research would evidence it vain. As I have noted prior, there is absolutely no evidence, thus far, indicating that such systems have any (in)formative use or value. These data are first and foremost designed for summative, or summary, purposes; they are not designed for formative use. Accordingly, the data that come from such systems — besides the data that come from the observational components still being built into these systems that have existed and been used for decades past — are not transparent, difficult to understand, and therefore challenging to use. Likewise, such data are not instructionally sensitive, and they are untimely in that test-based results typically come back to teachers well after their students have moved on to subsequent grade levels. What about Kane’s claims against tenure: “The tenure process is the place to start. It’s the most important decision a principal makes. One poor decision can burden thousands of future students, parents, colleagues and supervisors.” This is quite an effect considering the typical teacher being held accountable using these new and improved teacher evaluation systems as based (in this case largely) on VAMs typically impacts only teachers at the elementary level who teach mathematics and reading/language arts. Even an elementary teacher with a career spanning 40 years with an average of 30 students per class would directly impact (or burden) 1,200 students, maximum. This is not to say this is inconsequential, but as consequential as Kane’s sensational numbers imply? What about the thousands of parents, colleagues, and supervisors also to be burdened by one poor decision? Fair and objective? This particular mirror thinks not. Granted, I am not making any claims about tenure as I think all would agree that sometimes tenure can support, keeping with the metaphor, bad apples. Rather I take claim with the exaggerations, including also that “Traditionally, principals have used much too low a standard, promoting everyone but the very worst teachers.” We must all check our assumptions here about how we define “the very worst teachers” and how many of them really lurk in the shadows of America’s now not-so-enchanted forests. There is no evidence to support this claim, either, just conjecture. All in all, perhaps somebody else should be taking a long hard “Look in the Mirror,” as this new law will likely do everything but “[open] the door to a renewed focus on instruction and excellence in teaching” despite the best efforts of “union leadership,” although I might add to Kane’s list many adorable little researchers who have also “carefully studied the best systems for rating teachers” and more or less agree on their intended and unintended results in…the end. As I wrote in a recent post, I believe that the VAM “wars” will be won out in the courthouse, primarily given some of the key lawsuits currently underway across states (e.g., New Mexico, New York, Tennessee, Texas), and despite the “landmark loss” last June with the “Vergara v. California” case. In a recent article written by Emma Stone of The Washington Post, she also highlights how said “[c]ontentious teacher-related policies [are] moving from legislatures to the courts,” and how “[n]ow the largest unions in the country” are turning to the courts “to fight for one of their most pressing interests: An end to test-based evaluations they say are arbitrary and unfair.” This is ultimately “giving judges the chance to make decisions that could shape the way teachers are hired, fired and paid” well into the future. Specifically highlighted in this article are the cases in New Mexico (click also here) and Tennessee (click also here and here), but there are two others still to watch in Texas (click here) and New York (click here). There is also another case in Florida in federal appeals court (click here). I try to refrain from cursing (most of the time) but I’m tempted on this one…especially given an “academic” made such a non-academic comment given (most of) the current research on the topic and despite (and in spite of) the “growing number of groups” that have voiced research-informed skepticism about VAMs, in particular regarding their uses for teacher evaluation. These groups include, most notably, the National Academy of Education (NAE), of which Hanushek is a member, the American Statistical Association (ASA), the National Association of Secondary School Principals (NASSP), and the Economic Policy Institute (EPI), to name a few. In a recent post I published titled, “New Mexico UnEnchanted,” I described a great visit I recently made to Las Cruces to meet with students, parents, teachers, school board members, state leaders, and the like. In this post, I also described something I found shocking as I had never heard of this before. Under the “leadership” of Hanna Skandera — former Florida Deputy Commissioner of Education under former Governor Jeb Bush and head of the New Mexico Public Education Department — teachers throughout the state are being silenced. New Mexico now requires teachers to sign a contractual document that they are not to “diminish the significance or importance of the tests” (see, for example, slide 7 here) or they could lose their jobs. Teachers are not to speak negatively about the tests or say anything negatively about these tests in their classrooms or in public; if they do they could be found in violation of their contracts. At my main presentation in New Mexico, a few teachers even approached me after “in secret” whispering their concerns in fear of being “found out.” Rumor also has it that Hanna Skandera has requested the names and license numbers of any teachers who have helped or encouraged students to protest the state’s “new” PARCC test(s), as well. One New Mexico teacher asked whether “this is a quelling of free speech and professional communication?” I believe it most certainly is a Constitutional violation. I am also shocked to now find out that something quite similar is occurring in my state of Arizona. Needless to say, neither of our states (or many states typically in the sunbelt for that matter) are short on bad ideas, but this is getting absolutely ridiculous, especially as this silencing of the educators seems to be yet another bad idea that is actually trending? Time to fight back, again. If you are a citizen of Arizona (citizens only) and feel that the Arizona community (and potentially beyond) is entitled to the free flow of information and that free speech is worth protecting, click here to contact your legislators to oppose SB1172.